Six months ago I was reviewing the AiThinker AiLight, a great looking light bulb with an embedded ESP8266EX microcontroller, driven by a MY9291 LED driver. 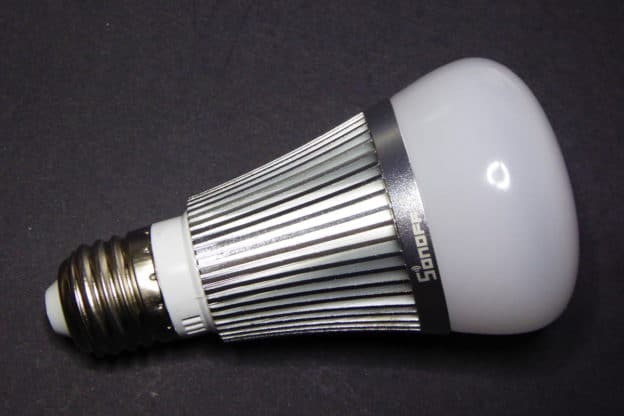 Just before summer IteadStudio released it’s Sonoff B1 [Itead.cc] light bulb, heavily inspired (probably same manufacturer) by the AiLight, at least on the design. Now that IteadStudio has become popular between the home automation community you can also find the Sonoff B1 on global marketplaces like Ebay or Aliexpress for around 13€. 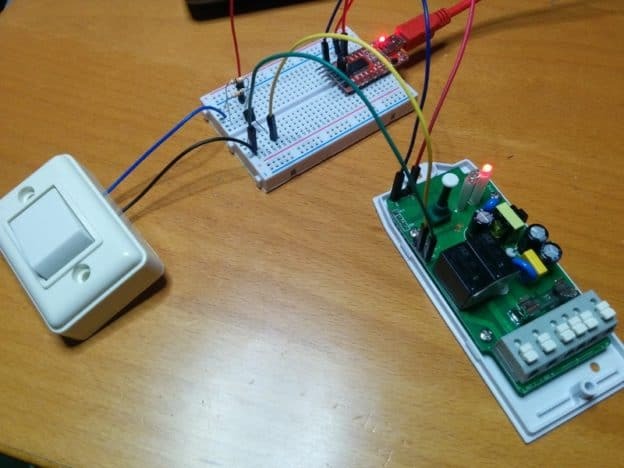 This entry was posted in Analysis, Hacking and tagged ailight, aithinker, domoticz, esp8266, esp8285, espurna, home assistant, itead, iteadstudio, MQTT, my-semi, my9231, my9291, node-red, rest, sonoff, sonoff b1 on September 27, 2017 by Xose Pérez. One might think that one of the typical uses for a smart wireless switch (like Sonoff devices) is to be embedded behind a normal wall switch so it becomes a “smart” wall switch. It may seem obvious but it’s not that straight forward. There are several things that get in the middle. Most of the available boards in the market are SPST, even those with SPDT relays often only provide terminals for COM and NO, not NC. I only have one one-throw switch at home, all the others are one-way-two-throw and are being used as part of a multi-way switch. First problem can be easily solved in code. Instead of detecting one edge of the button signal (usually the rising edge since most push buttons are configured with pull-ups) you can detect both edges. Second problem is harder since it depends on the hard-ware (ehem). 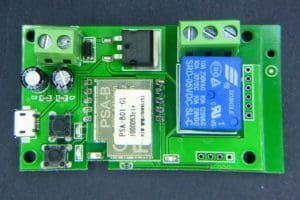 But there are a few boards out there with SPDT relays like the Itead 1CH board I recently covered, the e_Goto Wifi Relay Switch Module [Aliexpress] or the Your Cee ESP8266 5V WiFi Relay Module [Aliexpress]. There are also two-relay boards you can use for a multiway switch by syncing the relays in opposition mode using ESPurna firmware for instance (one and only one relay on). The Electrodragon ESP Relay board is one such boards. 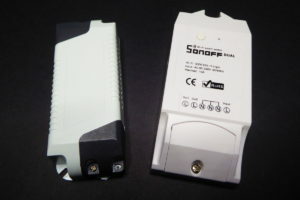 Another one is the Sonoff Dual. This entry was posted in Hacking, Projects and tagged electrodragon, espurna, itead, itead studio, multi-way, push button, silicon labs f330, sonoff, sonoff dual, wall switch on February 15, 2017 by Xose Pérez. Sometimes Chinese manufacturers throw a mysterious, unlabelled, IC into their designs so we can spend a few hours trying to figure out what they are and what they do. It’s such fun! I’ve been playing with one of those this afternoon, trying to answer those questions but also trying to understand why! Why is that chip there? Why did someone decided she needed that chip there? All these things together kept me wondering… is this an Itead’s product? This entry was posted in Learning, Projects and tagged esp8266, espurna, itead, itead studio, pogo pin, psa-b, pulse, rocketbook, songle on February 13, 2017 by Xose Pérez. Lately I’ve been quite busy with the ESPurna firmware. It’s growing bigger and gaining some momentum. It’s really fulfilling to see other people using it and reporting back. But at the same time it’s very time consuming. Last Saturday I released version 1.5.0 with some new functionalities and bug fixes and I decided to use some of my free time over the weekend to work on a project that’s been waiting for a month in the shelf. 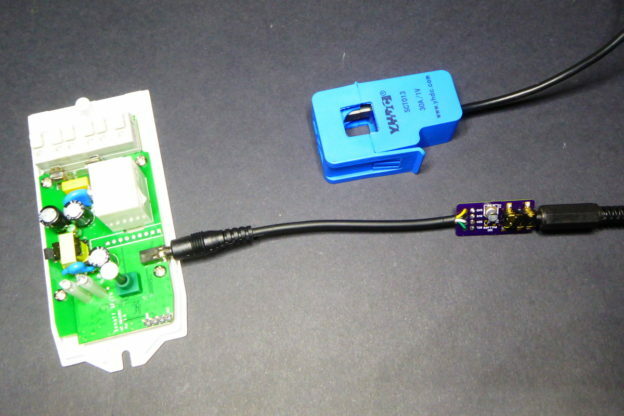 A few weeks ago I was playing with the Sonoff TH and I wrote a post about its sensor interface and the possibility of using lots of different digital sensors, including I2C sensors since the board can be easily hacked to export 2 digital pins over that interface. And having I2C not only increases the number of potentially usable sensors but also opens the possibility of using I2C Analog to Digital converters to overpass the lack of analog inputs in the device. Here it comes the Texas Instruments ADC121 (datasheet), an 12-bit precision ADC with I2C support priced 2.74€ in quantities of 1. This entry was posted in Code, Projects and tagged adc121, adc121c021, adc121c027, ads1115, arduino, brzo, brzo i2c, current, emonlib, emonliteesp, esp8266, espurna, i2c, itead, itead studio, Pascal Kurtansky, platformio, power, power measurement, power sensor, sonoff, sonoff th, wire on January 25, 2017 by Xose Pérez. Last December Itead Studio updated their Home Automation product line with a new and different product. The main difference is that it doesn’t have a relay and it’s mainly sensors and no actuator (if we don’t define a notifying LED as an actuator). 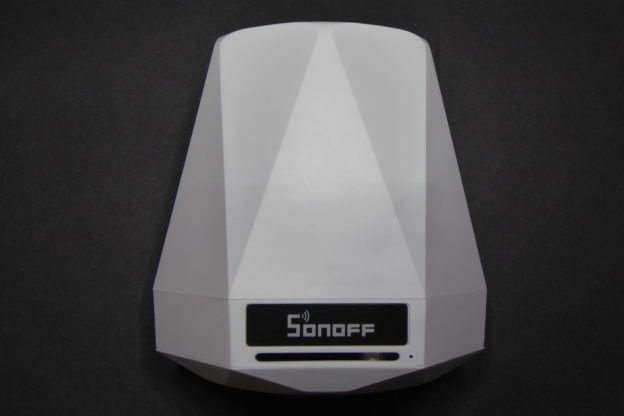 The Sonoff SC is a sensor station that packs a DHT11 temperature and humidity sensor, a GM55 LDR, an electret microphone with an amplifier circuit and a Sharp GP2Y1010AU0F [Aliexpress] dust sensor in a fancy case that looks like it was originally meant for a speaker. 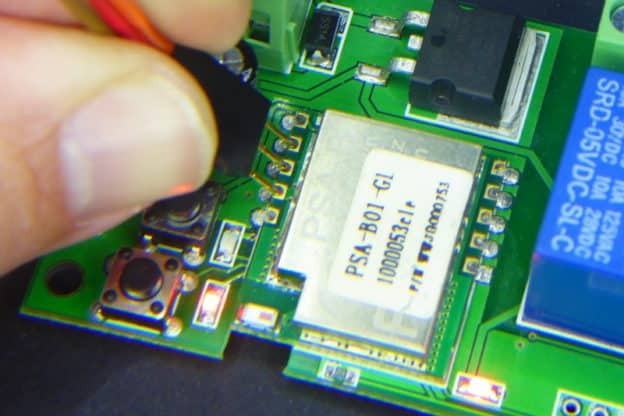 The device is packs an ESP8266 as expected and is compatible with the eWeLink app. But, such a collection of sensors, with 3 of them having analog interfaces, cannot be run from the single-ADC ESP8266 so Itead has thrown in a good old ATMega328P to drive the sensors and report the Espressif with the data. This entry was posted in Code, Hacking, Projects and tagged arduino, atmega328p, avr, clap, dht11, DHT22, domoticz, dust, electret, esp8266, espressif, espurna, ftdi, GP2Y1010AU0F, humidity, itead, jquery, ldr, light, microphone, MQTT, noise, purecss, seriallink, sht71, sonoff sc, temperature, usbasp, websockets on January 10, 2017 by Xose Pérez.